Northwest Kansas Technical College announced today that it has been named a Silver-level Military Friendly® School Award recipient for 2017. Victory Media, originator of the family of Military Friendly® employment, entrepreneurship and education resources for veterans and their families, published its special awards for 2017 Military Friendly® Schools and Employers at https://militaryfriendly.com. For more than a decade, Military Friendly® ratings have set the standard for companies and colleges demonstrating positive employment and education outcomes for veterans and their families. Northwest Tech has several students each year who pursue a technical education after leaving the service. Most students attend using the benefits provided by the G.I. Bill. With the technical training many receive during their time in the military, pursuing a degree with a technical college is one of the smoothest transitions a service member can make. With over 16 academic programs and job placement rates running well over 90%, Northwest Tech provides a natural pathway for those leaving military service, through their technical training, and directly into the workforce. Top 10 Gold – A ranked list of the Top 10 in a category based on a numerical score. Gold Medal – Schools scoring within 20% of the last-ranked (10th) institution. Silver Medal – Schools scoring within 30% of the last-ranked (10th) institution. Bronze Medal – Schools scoring within 40% of the last-ranked (10th) institution. 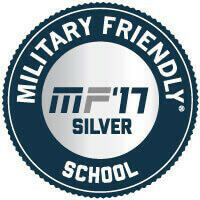 Companies and schools must have successfully completed a 2017 Military Friendly® survey and been designated as a 2017 Military Friendly® School or Employer to be considered for the Awards program. The names of awardees are published online at https://militaryfriendly.com and will be printed in the December issue of G.I. Jobs® or Guide to Military Friendly® Schools. To see a complete list of this year’s award winners, or to learn more about Military Friendly® ratings and how to participate, visit https://militaryfriendly.com. Northwest Kansas Technical College was established in 1964 and is located in Goodland, Kan. The mission of Northwest Kansas Technical College as an institute of higher learning is to prepare individuals for gainful employment in technical and professional careers, productive personal lives, and lifelong learning. Northwest Kansas Technical College is on the Web at www.nwktc.edu.